HCM City (VNA) – “The Steps Challenge 2019” – a social event aiming to bring appropriate care and special education to children with autism in Vietnam – is scheduled to take place in Ho Chi Minh City on May 25, announced the organisers on April 17. 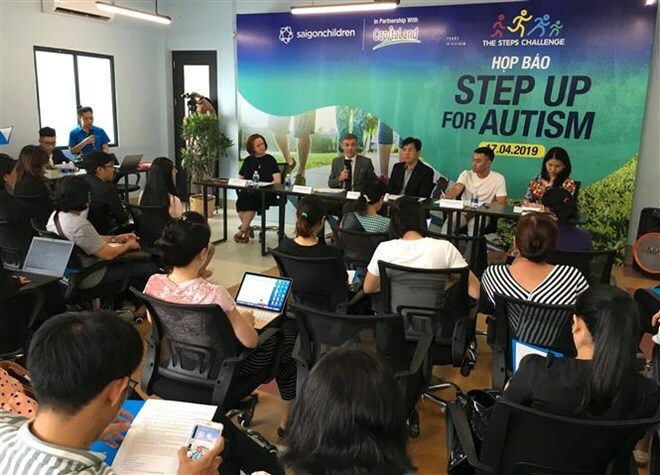 Within six weeks prior to the event, the organisers – the Saigonchildren and CapitaLand Vietnam, will launch a communications campaign to collect 100 million steps from supporters at a hope of raising awareness of autism in children. Chen Lian Pang, CEO of CapitaLand Vietnam, said he believes that every child has the potential for greatness which, if built upon, can in return benefit their communities. He declared that CapitaLand Vietnam commits to support the community in social activities, especially those to assist children with autism. CapitaLand Hope Foundation, CapitaLand’s philanthropic arm, has pledged to donate 580 million VND (nearly 25,000 USD) if participants can together reach 10 million steps in one hour from the beginning of the event, he revealed.